It is an old saying "When going gets tough, tough gets going" and it fits perfectly to the 'Bengal Tiger' Sourav Chandidas Ganguly. Whenever people considered him down and out , he rose from the ashes and conquered the world. This is the magic of our very own beloved DADA. Dada made his debut in the year 1992 and then dropped after playing one series on account of poor performance in Australia where he got the limited opportunity to showcase his talent but at that time nobody was knowing that Sourav Chandidas Ganguly will make grand re-entry in the International Cricket after 4 years and becomes the 'Maharaj' of Indian Cricket for next decade and half. He re-entered International Cricket in 1996 and made his test debut in England with scoring brilliant century on debut in 'Mecca of Cricket' Lords, a rare feat and dream achievement for any cricketer and followed it with another century in next test match on that tour. 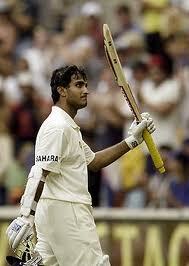 He played for Team India as a player till 1999 after his re-entry in 1996 and played under the captaincy of Mohd. Azharuddin and Sachin Tendulkar. While Mohd. Azharuddin caught on the wrong side of match-fixing saga and Sachin Tendulkar refused the captaincy of the team in trouble times of Indian Cricket. In that turbulent times, Team India was in all kind of mess and there was no ray of hope in sight for this Indian team. In that trouble time Sourav Ganguly aka DADA accepted the captaincy of the team and helped the Indian Cricket in a big way to come out of that crisis and made Indian Cricket most sought after property in World Cricket. He kept his team and country above himself and I must say he is the first captain in the history of Indian Cricket who promoted and backed talented players rather than going for players from his state or zone.Hardly any cricketer from his state or zone played in his captaincy. He always believed in talent and always had the neck of picking up and backing up talented players. Whoever players he picked and backed are still playing in Team India and performing very well for the country. Even MS Dhoni made his debut under his captaincy and he gave him chance against Pakistan to showcase his batting skills after Dhoni's poor debut in Bangladesh tour and rest is history. Today we are talking about India's No.1 status or ranking in World Cricket but it was Sourav Ganguly who laid the foundation of this great achievement. Today if MS Dhoni is successful captain then credit goes to Sourav Ganguly because he build this team. He was the one, who taught us to win outside sub-continent and how take on the world. If Indian Cricket is rated highly today, it is all because of Sourav Ganguly's vision and hard-work. He is still the most successful captain in Indian Cricket. Ganguly always lead from the front and always stood by his peers during their trouble times. Who can forget his century in GABBA Brisbane in 1992 when he scored century in the first test match of the series against Australia and set the tone for the series. 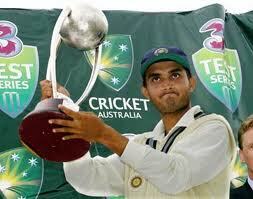 It was first time when Team India drew the series in Australia in 20 years. He also lead the team to the finals of Cricket World-Cup and became second captain in the history of Indian Cricket to do so after Kapil Dev and that too in South Africa which is known for its fast and bouncy pitches.You can understand his greatness as a leader from the fact that Harbhajan Singh still says that 'eveything he has achieved today in International Cricket is because of the Sourav Ganguly and he owes a lot to him'. Yuvraj Singh was dropped by the selectors but it was Ganguly who backed him and brought him in the team against the wishes of the selectors. At that time Yuvraj Singh said 'I can die for this captain'. How can we forget the situation of VVS Laxman who was always in and out of the team till 2000, it was Ganguly who backed him in a big way and given him confidence by making him permanent member of this team. It was Sourav Ganguly who backed Zaheer Khan, Virender Sehwag, Ashish Nehra in their trouble times and stood with them firmly. DADA in-fact vacated the opening slot for Virender Sehwag selflessly in benefit of the team and batted on No.3 position in later half of his career. Tell me which Indian player or captain let go his successful batting slot for his peer or team-mate? I believe nobody can do that except DADA and thats why he is great because he always thought about the team and not about himself. Had he thought about himself then his personal batting record would have become more strong but he always played for the team and not for himself. There was lot of questions raised on his batting ability as well. He was considered vulnerable against short-pitched bowling but he never thought so and his records speaks itself in his favour. He was the first overseas player who hit back-to-back hundreds in VB series in Australia. He scored runs in all the countries. I feel as a batsmen he would have definitely crossed 10000 run mark in test cricket if he had not captained the Indian side but still his test record is brilliant from any standards. His ODI record is second best to the Sachin Tendulkar and he stands second to the Sachin Tendulkar in terms of ODI centuries. His pairing of opening the batting with Sachin Tendulkar in ODIs is considered as most successful pairing in International Cricket so far.Rahul Dravid once quoted him as 'God of Off-side' in respect to his elegant stroke-making capabilities on the off-side which sums up his batting talent. Even today most of the Indian players who are playing in the team worships Sourav Ganguly because of the way Ganguly backed them in their trouble times and helped them to build their careers.He has achieved so much in his career that he has become priceless hero of Indian cricket in terms of his services to the Indian Cricket. Today if KKR has dumped him then it is not DADA's loss. I feel KKR lost one of the best brains of Indian Cricket. It is a big loss to KKR because he was highest run-getter for them in last year's IPL. When talking about his pricing and bidding in auction, I feel nobody can ever assess the value of this great servant and legend of Indian Cricket and its good that franchisees did not bid for him because this man is priceless and will remain in our hearts as a great legend and true fighter and a person who taught us how to turn torrid times in good times. Lastly, he retired from International Cricket in 2008 but till today Indian Cricket and Indian Test Team failed to find his replacement who can fill his boot. Indian Team tried Raina, Pujara, Yuvraj Singh,etc.in this period but none of them filled the boots of Sourav Ganguly and that one batting slot in Indian Team is still vacant. So I feel it is very difficult to replace Sourav Ganguly. He is still much better player then some of the youngsters playing for the country. I am great fan of this man simply because of his fighting capabilities and tough mindset. 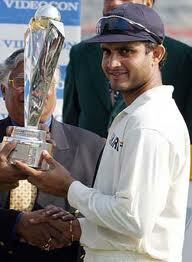 He is still DADA of Indian cricket and will remain forever. 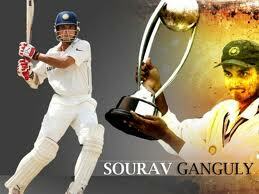 He is immortal legend of Indian Cricket. Fine way of telling, and pleasant article to obtain facts concerning my presentation subject matter, which i am going to convey in college. perfect method? I have a challenge that I am just now running on, and I've been at the look out for such info. for brussels. I'll appreciate if you continue this in future. A lot of people will be benefited from your writing. Cheers! It truly useful & it helped me out much. I'm hoping to give one thing again and aid others such as you aided me.